This Magician knows that maintaining a great smile takes more than a simple abracadabra! Dear Doctor sat down with master illusionist David Copperfield to discuss more than a bit of magic. From what inspires him to his greatest feats, he enlightened us on how he became the most spellbinding enchanter of our time and expressed the importance of a healthy smile. While talking to us at his Secret Warehouse of Magic in Las Vegas, David shared with us how his love for magic began. He admitted that his father who always aspired to be an actor gave up his own desires to work a job that would support his family and, ultimately, his son’s dreams. At first, David’s parents had reservations and difficulty supporting his goal of becoming a magician, but eventually realized that their son had a special gift. "I started as a ventriloquist, a really bad ventriloquist," David said. "[My act] was really not good, but suddenly, I started to do magic and that became kind of my thing. Ventriloquism and magic are a bit of an allied art form. 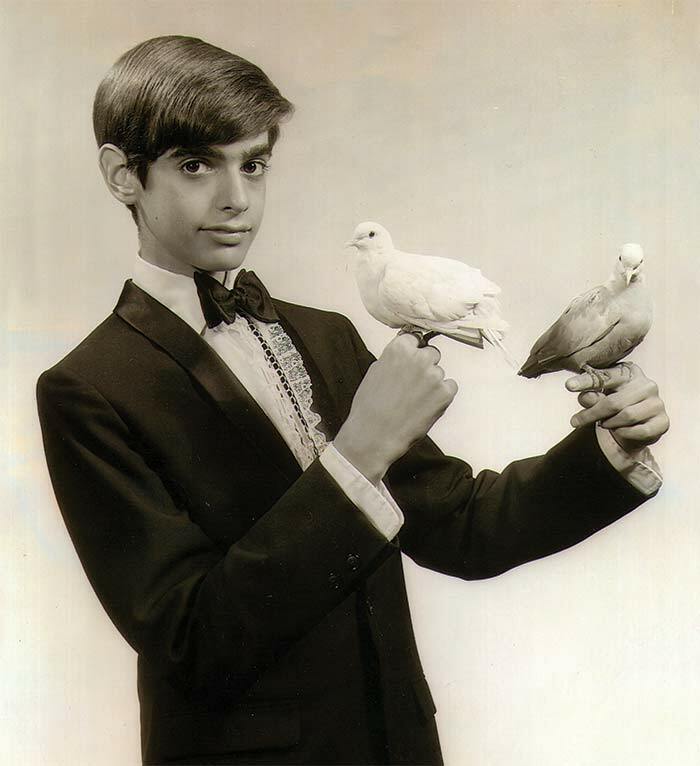 Where I wasn’t very good at ventriloquism, for some reason, magic came very easy to me." 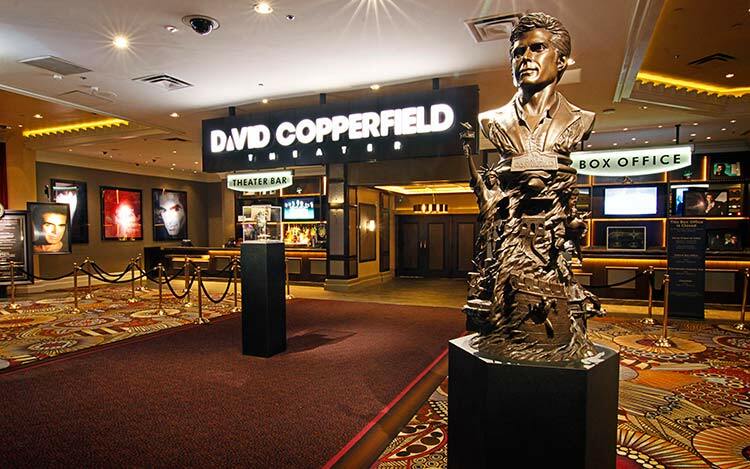 Magic to Copperfield is not just simple hocus pocus. The appeal of his illusions, which are inspired by both his dreams and his nightmares, include the people who are eagerly watching him perform. David said, "I enjoy taking people on a journey. I like watching them dream. I like making them laugh and cry. If I can inspire people, then I’m doing the right thing." He wholeheartedly believes that all audiences "really want to be transported" and he wants to be the one who helps them "forget about troubles." Part of creating a successful illusion is gaining the audience’s trust and David feels that a warm, welcoming smile is critical for this to happen. "It’s amazing just watching emotions in an audience change when they see you happy. It’s amazing how it really affects their experience. I think whether you are on a job interview or on stage, like me, or just walking down the street, you can influence how people react to you. A smile, of course, is kind of the beacon of that," he said. Maintaining David’s exquisite smile seemed to be a complicated trick itself. When asked about orthodontic treatment as a child, David said, "I had braces first. I had headgear. I had rubber bands." In fact, he also had to wear an appliance, known as a tongue crib, which controls the habit of tongue thrusting. Tongue thrusting places pressure against the front teeth pushing them forward out of alignment. This occurs during swallowing or the pronunciation of certain words. One exercise used to help correct this habit is to place rubber bands on the tip of the tongue helping to change the movement of the tongue upward rather than forward. After all that, David was running down a concrete alleyway near a New Jersey mall and took a tumble. David said that after his fall he "became Dracula all of a sudden" with his front teeth becoming "nice little points." He continued, "That was my first experience with crowns." David has taken care of his teeth and crowns as the years have passed. David feels strongly that his great smile is what helps his confidence on stage as a performer. He said, "It’s amazing the progress that has been made in dentistry. It’s a great opportunity for people to feel better about themselves." He added, "It’s not just appearance. It’s the way you feel about yourself. You can walk taller and you can just feel better." David enjoys going to the dentist, but with his demanding schedule consisting of over 650 shows a year, he admits to not being the "perfect patient" and would like to get more cleanings. Just like a great smile may take some time, even years, to create, so do David’s illusions. He told Dear Doctor "Lots of people are involved. Each illusion is like making a movie. It’s story telling. It’s magic. It’s music selection. It’s designing. It’s making the magic technologically work. And all those things have to become a seamless movie that you are doing live. Every illusion takes about 3 years." Dentists and magicians have much more in common than we think. David said, "[A dentist] can change things in the same way that a magician will transform things on stage. Magic looks easy. People say, ‘It’s just a trick.’ It’s not just a trick. When I do things, there’s a lot of hard work behind it. The end result is effortless. In dentistry also, there is a lot of science and care and personal relationships with the dentist that are important. And that end result should be a natural thing. All the training dentists have will inevitably give patients a new feeling about themselves." David’s dedication to the impeccable illusions has paid off, as he has been recognized over and over again throughout his career. He has been declared a "Living Legend" by the U.S. Congress, the "King of Magic" by the Society of American Magicians and he has even been knighted by the French government! He explained, "You work so hard to get respect for your craft. That makes me feel good when you get recognized." His hard work pays off in others ways as well. David has created Project Magic, a program that uses magic as physical therapy for people with disabilities. This special program that is currently in 1,000 hospitals in 30 countries around the world "boosts patients’ self-esteem by giving them a skill that an able-bodied person doesn’t even have," explained David. This world-renowned magician will continue to inspire others whether on or off stage. Between his show-stopping illusions and his philanthropic endeavors, David is both an entertainer and motivator and although David’s bag of tricks may always remain a mystery to us, his love for magic is clear.